The Broadcasting Authority of Ireland has released guidelines for broadcasters during next year’s election. TV AND RADIO presenters are being warned to watch what they say on social media during next year’s general election as it may have the potential to undermine the impartiality of their coverage. The warning is outlined in the Broadcasting Authority of Ireland’s (BAI) guidelines for broadcasters during next year’s general election. A new document, published by the TV and radio watchdog today, outlines how broadcasters should ensure fairness, objectivity and impartiality in their coverage during the election, which is likely to take place in February next year. Rules around providing proportionate coverage to each political party will come into effect once the Dáil is dissolved and an election called. They will remain in place until after the polls close. By law, radio and television programmes must ensure that news is presented in an objective and impartial manner, without any expression of the broadcaster’s views and they must ensure all interests concerned are represented fairly. The document outlines how broadcasters must ensure that policies and procedures are in place to ensure there are no conflicts of interest involving their presenters. The guidelines also say that broadcasters should be conscious of any comments made by presenters off air, either in print or social media, which “may have the potential to undermine the perceived impartiality of their coverage”. The BAI says it is not appropriate for persons who are involved with politicians, political parties or are campaigning for a particular outcome in the election that they be involved in presenting programmes during the election period. These guidelines could affect Newstalk presenter George Hook who has made no secret of his allegiances to Fine Gael and spoke at a general election rally for the party in 2011. However, the 74-year-old recently revealed he is considering standing as an independent ‘Micheal Collins Fine Gael’ candidate in Dún Laoghaire having grown disillusioned with his party. Email “George Hook - and other hosts - will have to be careful about tweets during the election campaign”. 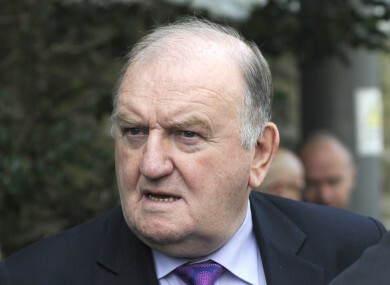 Feedback on “George Hook - and other hosts - will have to be careful about tweets during the election campaign”.